Launch of a New Album campaign!! Nowadays, through the magic of PledgeMusic, a musician can ask the music-lovers to support the project—and that’s where you come in: I’m offering a dazzling array of enticements, from a monogrammed guitar pick to a private concert, to motivate you to get involved. So please take a moment to visit PledgeMusic to learn more, and check out the awesome lineup of extras for those that support the project. Thanks so much for getting involved! If you haven’t already joined the mailing list – here’s a sample of the kind of humor and social commentary you’ll receive on a not too spammy basis. You’ll also get to know the next time Tom will be playing near you of course! 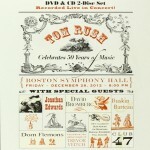 The video is an excerpt from “Tom Rush Celebrates 50 Years of Music” – a concert at Boston’s Symphony Hall, December 28, 2012, released as a two disk CD/DVD available now from the online store. Here Tom performs “What I Know”, (Used by Permission, All Rights Reserved). Produced by Ezzie Films LLC and BlueStar Media Inc. A special “Pledge Programming” edition aired June 4, 2013 on WGBH & NHPTV. 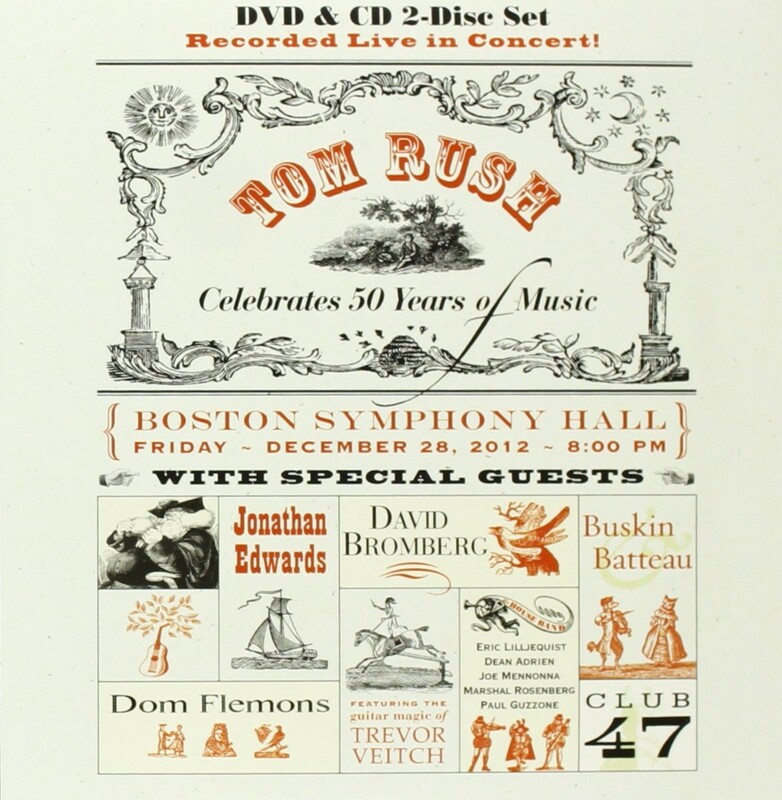 Celebrating his 50th year of singing, Tom appeared in a gala show at Symphony Hall, Boston, on December 28th, 2012. 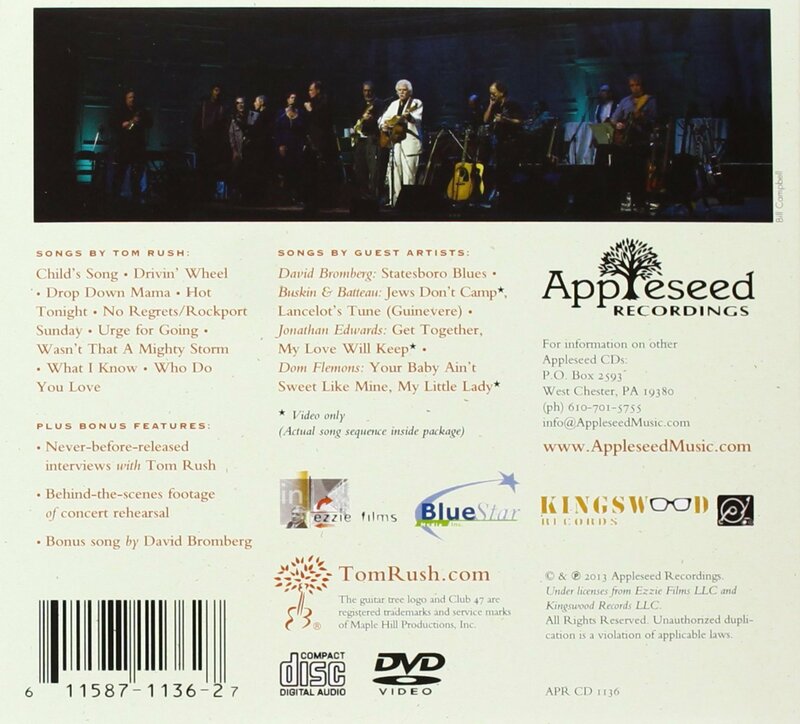 The performance featured Jonathan Edwards, Buskin & Batteau, Dom Flemons, Trevor Veitch, Eric Lillequist, Dean Adrien, Joe Mennonna, Marshall Rosenberg, Paul Guzzone and special guest David Bromberg. 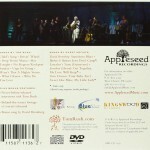 The performance was streamed live on the web, and was recorded for special DVD/CD 2-disc set, available now in our store. For the occasion of his 50th, Tom has also re-released two CDs of earlier work, Tom Rush at the Unicorn (1962) and Live at Symphony Hall (Originally released in 2001). The latter contains selections from the album “New Year Live at Symphony Hall”, originally released in 1982, and “Late Night Radio”, released in 1984. Both are available in the online store.